Google says proposed DoJ Rule 41 revision is “monumental” Fourth Amendment violation. Richard Salgado, director of law enforcement and information security matters for Google, testifies before the Senate Judiciary Committee’s Privacy , Technology, and the Law Subcommittee on Nov. 13, 2013. The Department of Justice has been working to revise a federal criminal procedure rule to make it easier for judges to issue search warrants outside of their geographic districts of influence. The idea is to facilitate remote FBI searches of digital data. But Google and other groups have constitutional concerns. The proposal to a judicial advisory committee has been in an open comment period that ended Tuesday. On Friday, Richard Salgado, Google’s director of law enforcement and information security, submitted a letter detailing Google’s concerns. He writes that the change could have much bigger “constitutional, legal, and geopolitical concerns” than the DoJ is acknowledging. The existing rules already allow the government to obtain and execute such warrants when the district of the targeted computer is known. Thus, the issue before the Committee is not whether to allow warrants to be executed by remote search; it is whether such warrants should … be precluded in cases involving anonymizing technology due to lack of a clearly authorized venue to consider warrant applications. 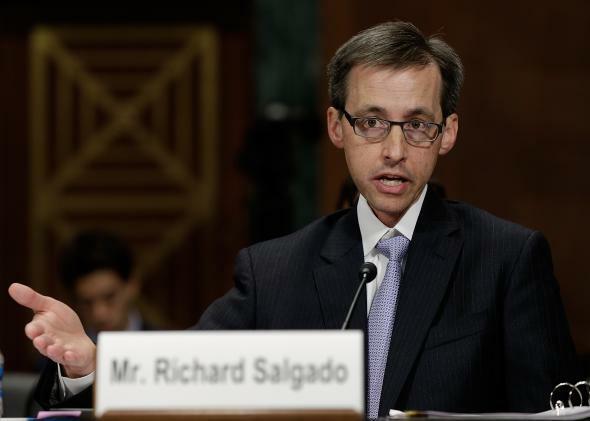 Salgado also points out that the changes could easily lead to remote search of computers outside the United States or in places where U.S. law enforcement does not have jurisdiction. He adds that millions of Americans with computers impacted by cybercrime could have to endure digital searches as law enforcement attempts to track an anonymous actor. In addition to Google’s letter, there were more than 30 others submitted during the open-comment period by groups like the the ACLU, Electronic Frontier Foundation, and Reporters Committee for Freedom of the Press. The judicial advisory committee will make a decision about the proposal in the next few months, at which point it will be reviewed by other groups including the Supreme Court and Congress. Congress has seven months to address the proposal, but if it doesn’t, the revision will automatically go through.